Why wait to be burgled to find out the contents of your garden shed were more valuable than you thought, or worse, weren't covered by your household insurance? To help make sure you don't come a cropper when thieves come calling, here's your guide to making sure your shed contents are fully insured. It’s easy to underestimate the value of your shed contents. You may not have a prized collection of Harley-Davidsons in your garden shed - but things you might have that a burglar would love to relieve you of include: garden and DIY tools, sport and leisure equipment such as bikes, golf clubs and snowboards - even laptops and PCs, if you use your shed as an office! 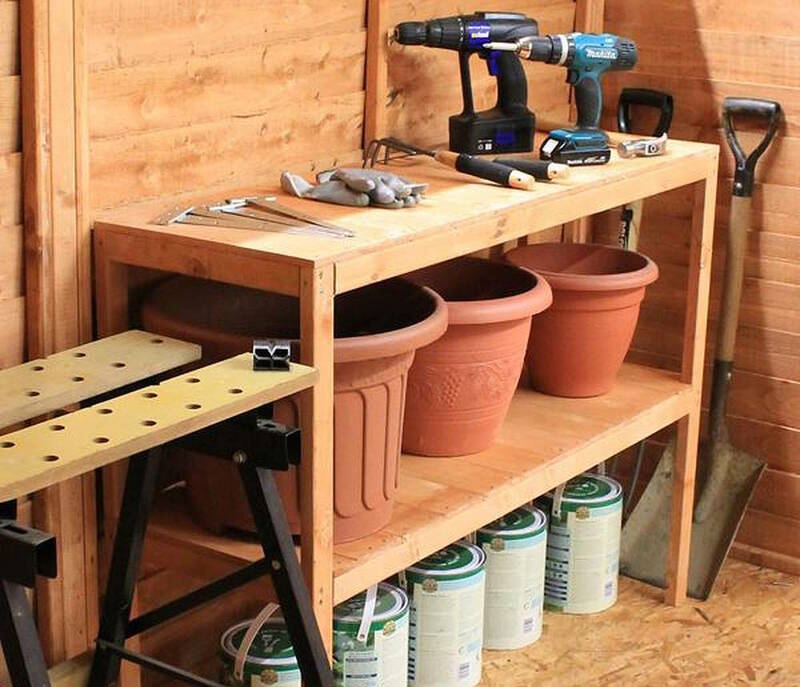 The average household has over £1,200 worth of stuff in their shed. Take an inventory of your contents, and it will help you work out the level of cover you need. Most insurers require anything over the value of £1,500 to be listed separately, so take particular note of any of these items. Are the family bikes covered? Check your home buildings and contents insurance policies. Buildings insurance usually covers outbuildings, such as garden sheds, for fire, flood and storm damage. But what about the contents? This varies wildly. If there's any confusion, then now's the time for a quick call to your policy provider. According to Gocompare.com’s May 2015 study, home insurance policies “typically have a separate limit for theft from outbuildings ranging from nothing to unlimited cover, with most policies providing between £1,000 and £3,000 of cover.” Check that your policy covers your shed contents - not just damage to its structure. Make life hard for burglars. Even if you are insured, it probably won’t pay out if you leave your shed unlocked. Invest in a good, sturdy padlock, a ‘shed bar’ (a horizontal bar laid over the width of your shed door frame), or a ‘pad-bolt’ specifically designed for outbuilding security. These are all visible deterrents for would-be thieves. 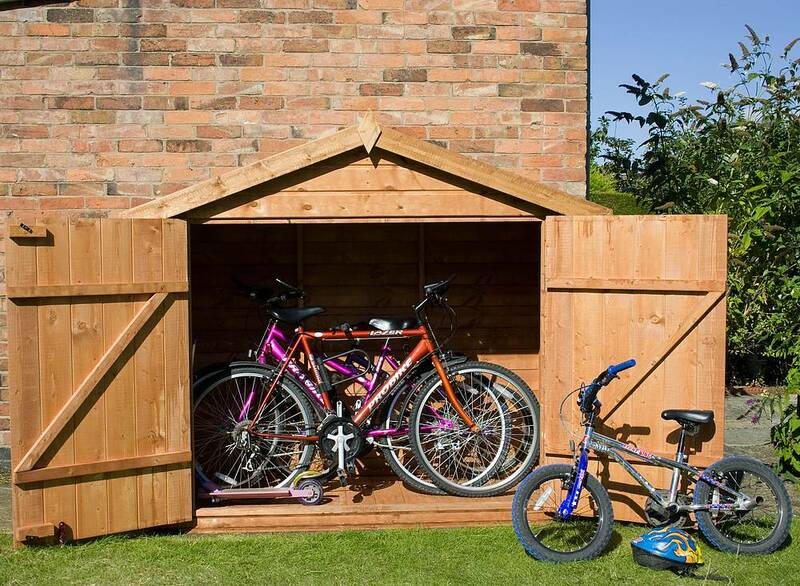 If you keep bikes in your shed, lock them with good quality bike locks too. Get a shed alarm, available from DIY stores or online. These are easy to install, and simple to operate - either with a remote control key or by entering a number into a keypad. Consider an automatic security light too - one that will respond to movement near your shed after dark and flood the area with light. Shed security may seem an unnecessary expense - but there’s nothing more galling than having your shed contents stolen, then having to pay out for locks, lights and alarms anyway. Shedworkers - check your policy! Is your shed also your office? Insurance gets more complicated if you use your shed as an office. You’ll need separate business insurance if you run a business from home. Your laptop will need to be covered by separate insurance to your house contents cover if it’s owned by the business, but anything that ‘belongs’ to the house, such as furniture, may be covered by your domestic policy. The only way to be sure is to check with your insurers. It usually just takes a quick phone call to them. There’s no reason to leave a laptop unattended in your shed - always take it with you. This is less practical with desktop PCs, and other more ‘static’ equipment, from printers to scanners to stock that can’t be stored anywhere else. Check your cover, and tighten up your security. But not all shed workers are office workers. If you’re, say, a carpenter with a shed-based workshop, dangerous power tools and customers calling in, you should have public liability insurance too. This covers you if members of the public suffer injury or property damage because of your business. Double check - do you really need to keep that in your shed? Keep those gold clubs indoors! Many insurers have a ‘single article limit’ - an upper limit to what they’ll pay to replace one specific item, regardless of its full value or where it’s kept. If you have valuables worth more than this limit, either keep them somewhere more secure, negotiate a higher limit (at extra cost), or both. 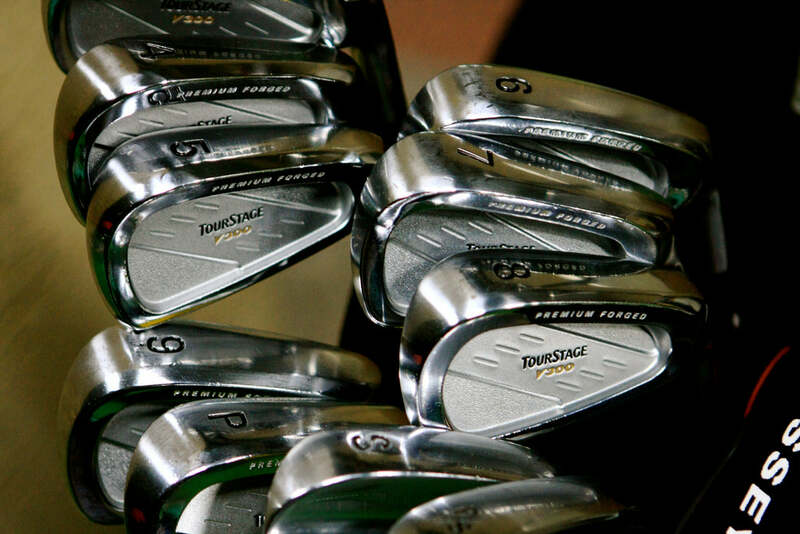 You won’t be able to replace that £4,000 set of golf clubs if your limit is £1,500! 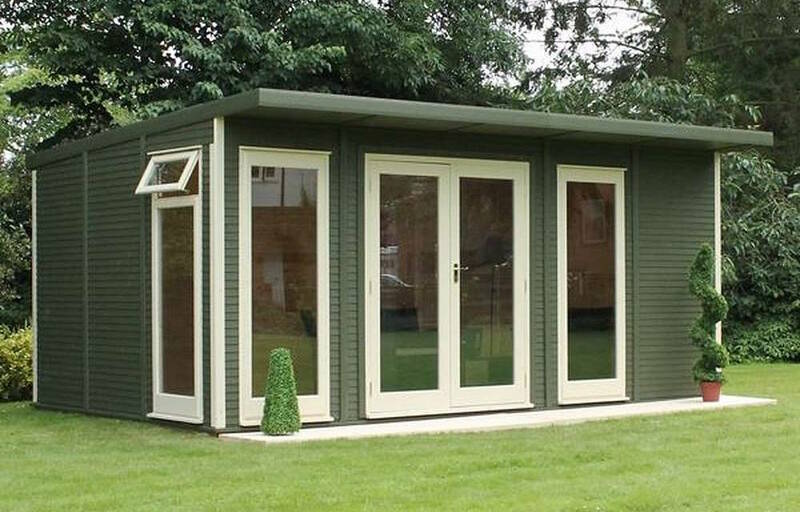 If your shed is your office, keep any portable valuables securely stored in the house when you’re not working. If it’s not, avoid keeping very valuable items in your shed anyway, if you possibly can. Shed insurance is really a matter of checking that your home and business insurances meet your needs. Don’t assume you’ll be covered, take sensible precautions, and invest in security. It may seem a hassle and an expense - but it’s a minor one compared with the upheaval of being burgled. Don’t leave it too late - it’s better to be safe than sorry!